Dinosaur light switch plates to decorate your kids dino bedroom. 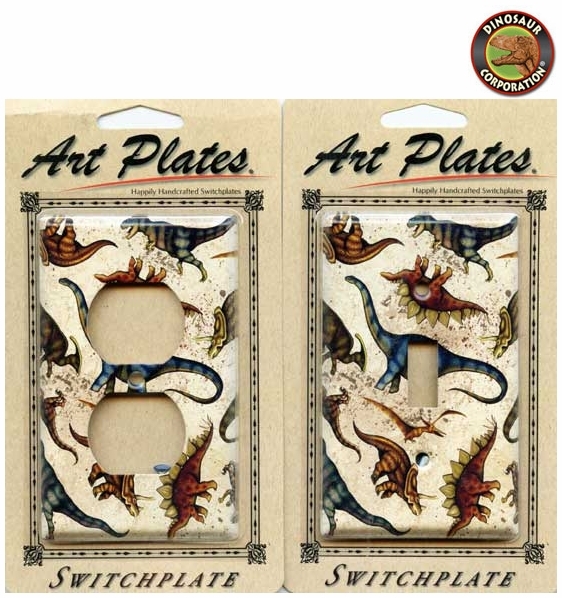 Each dinosaur switch plate is individually handcrafted using a classic decoupage technique, and sealed with a shiny smooth finish to prevent scratching or water damage. Every Art Plate comes beautifully packaged in a see-through gift bag ready for gift giving! Screws are included.